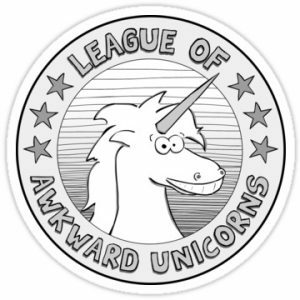 Launched in 2015, The League of Awkward Unicorns is a bi-weekly podcast covering mental health and emotional wellness with a delightful combination of expertise, stories and irreverence. We think The Guardian did a great job capturing our work in this piece. I write short fiction, personal essays, humor, and feature articles. I’ve created content for all kinds of publications and brands. Here’s a selection of my work. I’ve been writing Finslippy since 2004 (back when I thought I could call it a nonsense word I came up with in my dreams, since no one was going to read it). In the beginning I wrote about parenting, but these days I blog about creativity, art, mental health, our surly cat and hilarious dog, and whatever is going in my life. 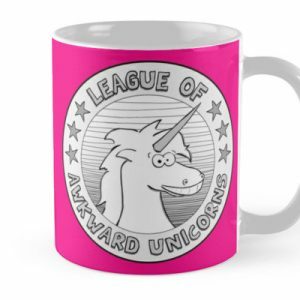 I’ve got a podcast with Deanna Zandt called The League of Awkward Unicorns, It’s about mental illness (depression, anxiety, etc. etc.) and emotional wellness (things that help, whether it’s medication, exercise, or wrapping oneself up in a Snuggie while binge-watching The Mindy Project). We were called “funny, frank, and accessible” by the Guardian. Find us on iTunes here. 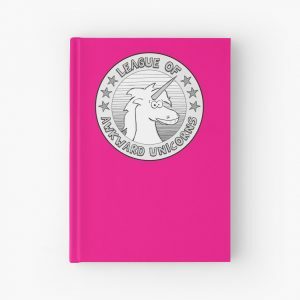 I co-authored a book called LET’S PANIC ABOUT BABIES! with the beloved Eden Marriott Kennedy. It was published by St. Martin’s Press, and we’re quite proud of it. You can read all about the book (and enjoy our book trailer, excerpts, and reviews) over here. I’m also a teacher for Gotham Writers Workshop, and often teach online courses in writing and creativity via this very website. Want to be the first to know about upcoming courses? Sign up for the newsletter! As of June of 2016, I am officially, unapologetically, calling myself an artist. Want to see my work? For now, it’s mostly on Instagram. If you have anything to say, I’d love to hear from you. Thanks. Deanna Zandt is an award-winning media technologist, the co-founder of and partner at Lux Digital, and the author of Share This! How You Will Change the World with Social Networking (Berrett-Koehler 2010). She is a consultant to key media and advocacy organizations, and her clients have included The Ford Foundation, Deutsche Telekom, Planned Parenthood, and Jim Hightower’sHightower Lowdown. Zandt has advised the White House on digital strategy and public engagement; she has been a regular contributor to Forbes.com, as well as NPR’s flagship news program, “All Things Considered.” Zandt specializes in emerging media, is a leading expert in women and technology, and is a frequent guest on MSNBC, CNN International, BBC Radio, Fox News and more. Zandt works with groups to create and implement effective web strategies toward organizational goals of civic engagement and cultural agency, and uses her background in linguistics, advertising, telecommunications and finance to complement her technical expertise. She has spoken at a number of conferences, including TEDxBerlin, SXSW Interactive, Tribeca Film Festival, re:publica, Personal Democracy Forum, Ignite (NYC), Netroots Nation, the National Conference on Media Reform, Facing Race, Web 2.0 Expo,Bioneers, Women Action & The Media, and provides beginner and advanced workshops both online and in person. In 2012, the Planned Parenthood Federation of America awarded Deanna their first-ever social media Maggie Award for Media Excellence for her work on the Planned Parenthood Saved Me Tumblr blog during the Susan G Komen crisis. Deanna was a fellow at American University’s Center for Social Media (2010-2011), and at theProgressive Women’s Voices program at the Women’s Media Center (2009). She is on the board of the Applied Research Center, a racial justice think tank and home for media and activism, and Women Action & The Media, the activism home of gender justice in the media. Deanna also serves as an advisor to Social Media Week NYC, and the Media Ideation Fellowship.